When you decide that you want a fence installed, it’s important that you consider everything that you will want and need to accomplish it. It is first important to decide what type of fence you want for your yard. There is some thought and consideration that needs to go into it before purchasing supplies or hiring a fence installation company. First of all, it’s essential to take into consideration the needs of yourself, your family, and any pets you have. For example, some people prefer a chain link fence and others want a wooden fence. This is something that you and your family members need to think about when it comes to your needs. If you have any pets, it is necessary to consider a fence that will help keep them in your back yard. Also, you will need to consider what type of look or style will look the most attractive for your yard. The look and style of the fence is important when you are planning to install one. This is because most homeowners want it to look appealing to their family and to the rest of the neighborhood. There are many different types of materials and designs available on the market. A great idea would be to drive around some of the nearby neighborhoods and see if there is a type of fence that catches your eye. This can help narrow down your choices and give you inspiration for your own home. It is then essential to then consider what the budget is going to be for the project. No one wants to spend more than their bank accounts can comfortably afford. You need to sit down and go over all of the finances of the home and what amount can be spend on the project. Once a budget is determined, you may then want to get in contact with a fence company that has a great local reputation. They can help with the entire process from start to finish. After deciding the type of fence you need and the budget for the project, you will then know exactly what you are going to require from a fence installation. A professional business with years of experience will be able to expertly measure the property for a perfect installation of your chosen fencing. If you want everything installed perfectly, it is crucial to have a professional business handle this process so that you can enjoy many years with a secure yard. 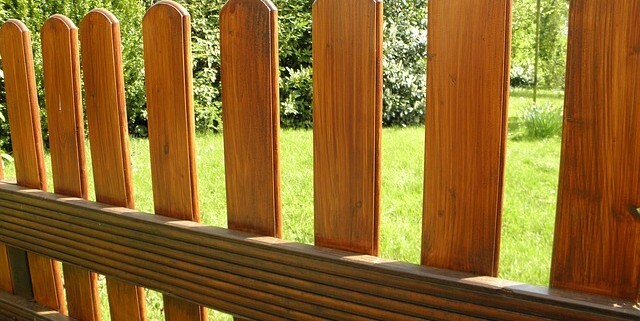 Experts can also help you with making the fence look how you want it to look. They can work with you on materials, designs, and styles so that you can have a customized fencing applied to your yard that is unique. A lot of homeowners complain that their neighborhood fences all look the same and they want something different and attractive. A fence company company with years of experience and expert attention to detail will be able to help you accomplish this goal and all within a budget that fits in with your personal finance needs. See all of the fences that we install and repair here.